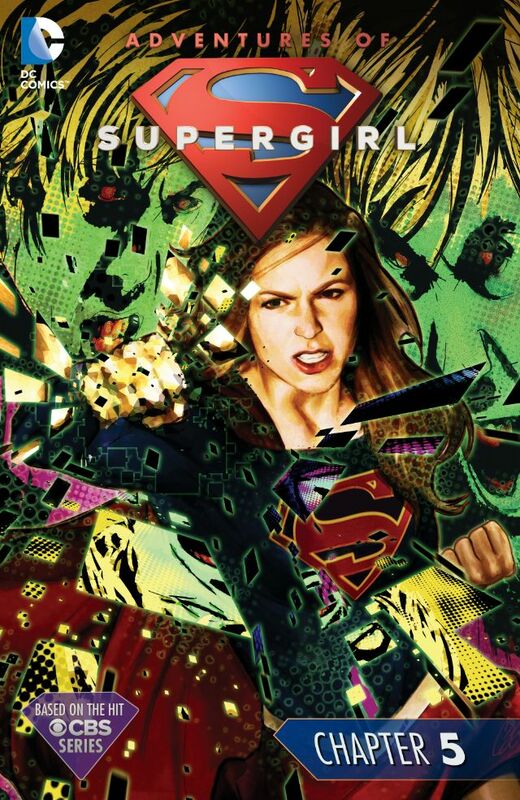 Winn and Supergirl seek assistance from Rabiah Zinoman, a computer... something, and as she investigates, a message left for Winn is found. Vril Dox taunts Supergirl with a threat to Jimmy Olsen, and Supergirl moves to see that he's safe. However, on arrival, Supergirl finds Jimmy eerily wired to every visible electronic device in the room. However, Supergirl uploads a virus which disrupts Dox, releasing Jimmy. Zinoman and Winn are able to locate Dox, and Supergirl dispatches him on arrival. Dox is taken in by the DEO, and a pensive Supergirl flies off, the day's events heavy on her mind. Story - 3: The opening issues made this storyline seem short in comparison, even though the weight of it was far heavier. The question of secret identities for superheroes is a subject worth explaining, as they've all but been done away with. The symbolism of the inner self that the secret identity represented has been left by the wayside, if only because most writers can't be bothered to use it, or just aren't up to the task. Gates put the question in play, but evades it as much as he answers. Vril Dox is dispatched much too quickly, and with a means that was apparently produced by a technology called Plot Magic. Rabinoh and Winn finding Dox is hyper-convenient, and it leaves Supergirl as little more than a speedy blunt instrument. Not a bad issue, it needed a middle, something to bridge the gap left by it being a two-parter. Art - 5: Really nice stuff. The splash page is worth the price of admission, and Jimmy's creepy latched upon look add to the superb renderings for this installment. Cover Art - 3: A fine likeness, but much, much too busy.